#FREE Criminal Record Expungement Clinic, September 23rd, Philadelphia! 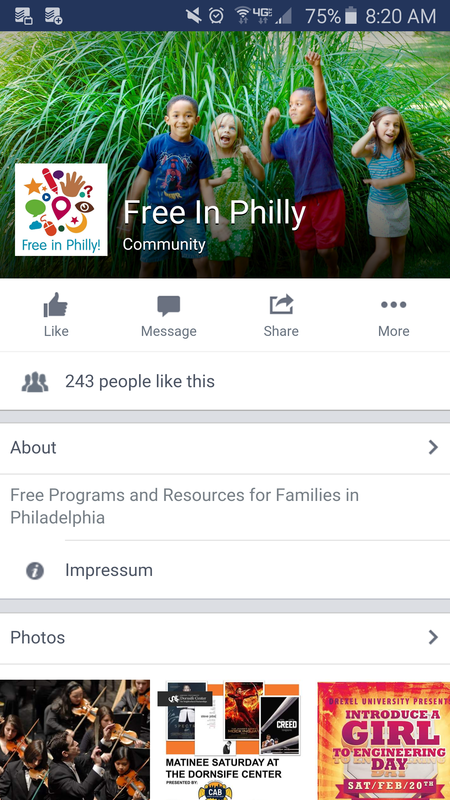 Posted on September 11, 2017 by MT	in African American Parenting, Community Events, Uncategorized and tagged Addiction, criminal record, expunge, expungement, families first, family, fathers, Free, Parenting, PEC, Philadelphia. Posted on January 20, 2017 by MT	in African American Parenting, Black Parenting, Fatherhood, Parenting, Raising African American Men, Uncategorized and tagged daddy daughter dance, daddyuniv.com, family, Fatherhood, fatherhood classes, fatherhood resources, fathers club, Free, Guides for fathers, Happy New Year, Help for fathers, Joel Austin, National Fatherhood Conference, New Year, Parenting, parenting classes, real fathers real men, single parenting, tri state daddy daughter dance, West Philadelphia YMCA. The leadership team at Daddy University has started off the new year with a brand new website to help guide fathers of all ages through parenthood. Located at daddyuniv.com, the website offers a baby supplies checklist for new fathers, legal information and a place for fathers to share their story of challenge or triumph. While the website is new, the male parenting education company Daddy University has helped fathers in the Philadelphia area since 2004. For eight months out of the year, fathers come to the West Philadelphia YMCA to meet with President and CEO Joel Austin and discuss topics ranging from how to communicate with a rebellious teen to how to braid their daughter’s hair. Austin, a father of four, was inspired to create Daddy University after taking his eldest son to a Big Brother/Big Sister class at a nearby hospital. While hospital staff taught his son how to change a diaper and help out mom and dad, Austin realized he needed to take notes too. He decided enough was enough. First, Austin started researching lessons on childcare online. Most of his results were from maternity websites. Next, he and co-founder Edward McGee started meeting with focus groups. After those took off in popularity, Austin and McGee then launched the Fathers Club with a full class curriculum. “It’s not about fatherhood over motherhood, it’s about having two educated parents to raise a child,” Austin said. In the past, people have joined the Fathers Club through word-of-mouth or recommendations from social services. Attendance ranges from 50 to 100 people, from teen fathers to grandparents caring for their grandchildren. One of the first lessons Austin teaches is personal responsibility. Instead of referring to the child’s mother by name, he tells the men in his class to use the phrase, “the woman I chose.” Austin also teaches parents how to communicate with their children. His solution-based lessons help parents create more time between reacting and responding to an issue. The Fathers Club classes cover the time between a child is born to adulthood. With his oldest children in their early 20’s, Austin says he doesn’t believe in 18 being the magic number. “So you were dumb at 17-and-a-half, but for some reason at 18 you’re supposed to be given this miraculous gift from the heavens of knowledge?” he said. “Instead, he works with parents to develop an exit strategy so children can be successful after they leave the home. Other than weekly classes, Daddy University also offers a fatherhood conference, young male Conference, mother and son dance and a daddy and daughter dance. The daddy and daughter dance takes the form of a debutante ball, and ticket sales help fund Daddy University. About 50 people showed up to the first dance. Seven years later, more than 650 fathers took their daughters to dance. With the website now active, the leaders at Daddy University are now looking towards advocacy for parenting rights and expanding the Fathers Club to the South Philadelphia YMCA. Austin plans to continue guiding dads in parenthood. Information and ways to donate to Daddy University are available online at daddyuniv.com.